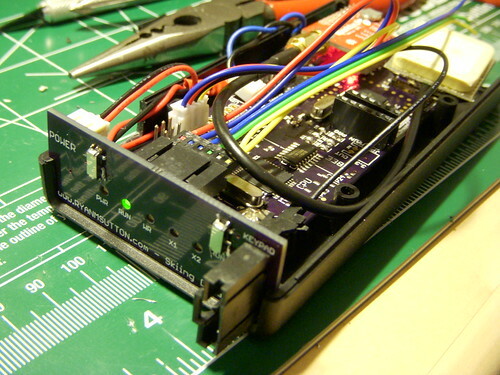 Published on March 20, 2012,	by RyanMSutton in Hardware. 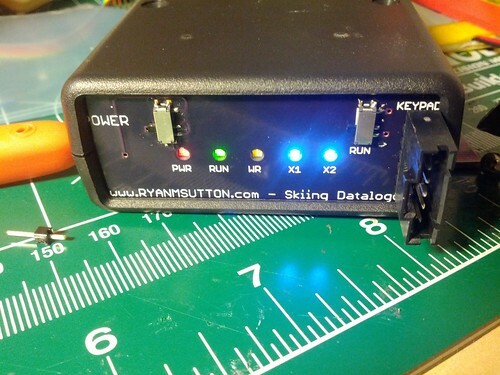 Got another rev of the Skiing Datalogger, I had REV:B boards made but never built one up since I knew of the issue with the gyro and the holes didn’t line up with the case. This board is REV:C which I added some holes, all the flying wires are gone (so far) except the rework of the Venus GPS module which Sparkfun has changed in their new version. I have tested the individual components. Only the accelerometer is giving me issues at the moment. It is doing the same thing as the 6dof board though so it could be something in my code.